Migrants from Sea-Watch and Sea-Eye refused to eat, lamenting they were being kept in the dark. Migrants at the Marsa Open Centre spent three days on an unofficial hunger strike to "protest their de facto detention" and "systematic violation of human rights", NGO Mediterranea Saving Humans said. The migrants, who came from the Sea-Watch and Sea-Eye vessels, were also demanding clarification on the procedures for relocation to other member states, the group said. Sources in close contact with the migrants said the "hunger strike" started March 5 but that it was unofficial. One thing was clear, however: they were frustrated at being stuck in Malta and they thought the food was inadequate, they said. The ministry denied that there was any official hunger strike but did not clarify whether there were people who had repeatedly refused to eat. Over 40 men and women reached Maltese shores after an agreement to share them out between several EU member states in January. Migrants had repeatedly expressed frustration at being kept in the dark about the relocation processes. They were expected to be relocated to Germany, France, Portugal, Ireland, Romania, Luxembourg, the Netherlands and Italy, spent 19 days aboard the two NGO rescue ships. 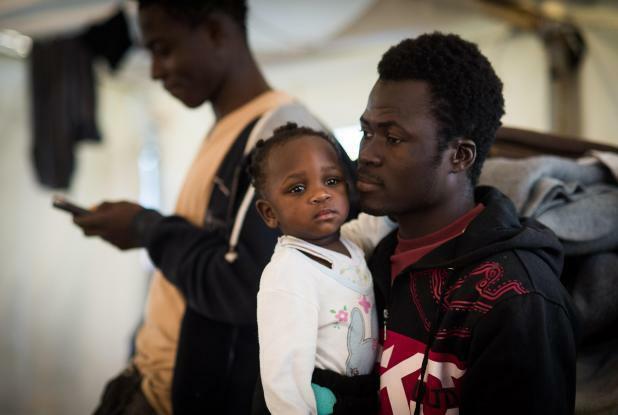 "We learned from those in Marsa that delegations from France and Germany have excluded several people from the possibility of being relocated there, without any reason being given and without the refusal being communicated in writing, making it impossible to use legal means to fight against the decision," Mediterranea Saving Humans said. "Others have not had any news about their transfer and have not even had access to the first phase of this informal mechanism, which consists in an interview by officials from the states which are to be their destination," they added. The fate of the migrants meanwhile remains unknown, the group said.